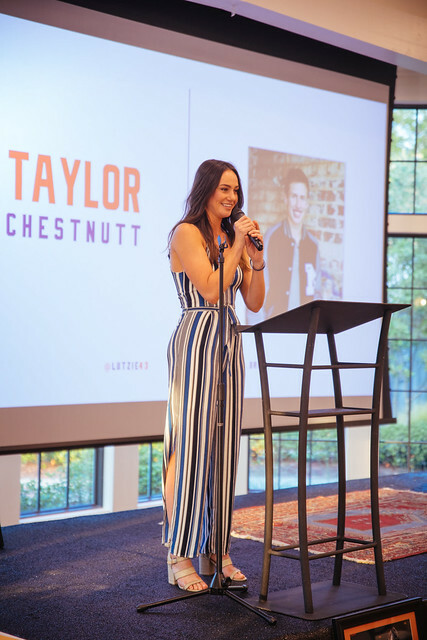 Thanks to one of 2018 PFL Scholarship recipients, Taylor Chestnutt, for providing this blog post! Read more about his story in the Marietta Daily Journal. I could not be more honored to be one of ten recipients of the 2018 PFL Character Scholarship. I began the 43 Lessons to Legacy character curriculum prior to the start of my senior year at Marietta High School. My two best friends and I began the curriculum under the guidance of our church’s small group leader, Scott Williford. Our journey through the lessons and the subsequent dialogue helped me cope with an unknown injury which sidelined me for much of my final year of high school cross country. It was a time in which anger and doubt clouded my mind; however, the lessons such as Leader and Humility helped remind me of my core values. Being voted team captain while not being able to run was an honor but my mindset for leading my team needed to shift. Although I couldn’t model athletic success, I could model being a good person. I focused on showing the runners the expected nature of our team – how to respect our coach, each other and our competitors; how to develop a work ethic; how to encourage; how to strike a balance between fun and focus; how to become a scholar athlete; and how to lean on faith. The three most impactful lessons that helped me mentally heal were Purpose, Perseverance and Authenticity. The lesson on Purpose reminded me that I must trust God’s plan for my life and realize that running doesn’t define who I am. Perseverance showed me the importance of staying on course and keeping faith despite the numerous setbacks and disappointing results. Finally, Authenticity assured me that I must remain true to myself no matter what happened. And although I’m still not fully healed I know God has me on the right tract. I hope to be fully healed by the fall as I will be attending Huntingdon College where I will be running cross country and hoping to major in political science. These invaluable lessons lifted me through not only the athletic season, but a season in life. I hope to honor Philip’s legacy and God by living out these 43 characteristics to have a positive impact on those around me. Once again, I’m beyond grateful for being selected as a recipient and I cannot thank the Lutzenkirchen family enough!